Product code: ES7570 Categories: Sold Items, Sold Watches. 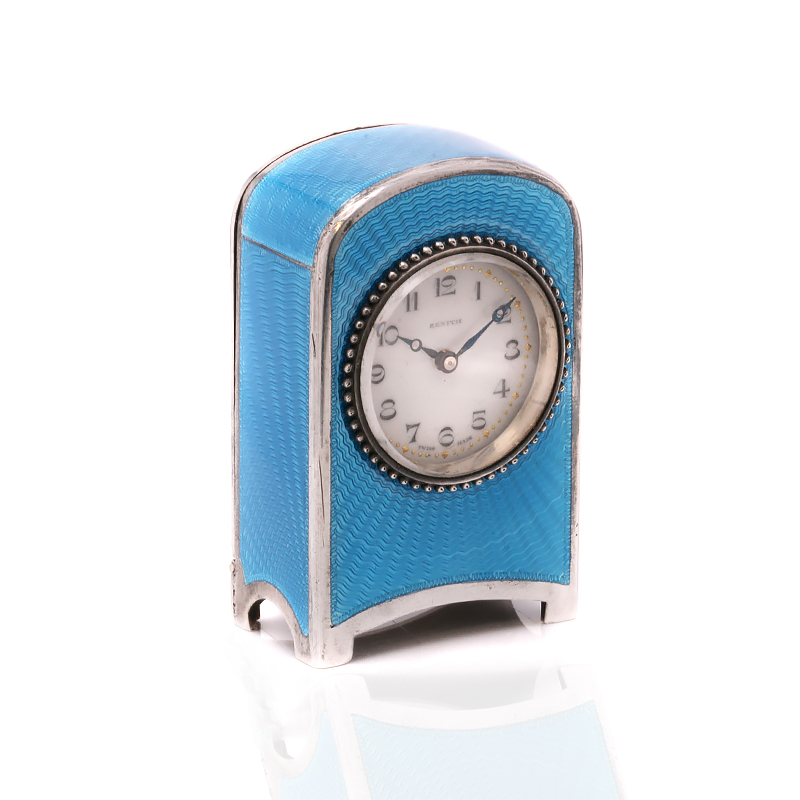 Just look at the quality and size of this gorgeous Art Deco guilloché enamel miniature Zenith carriage clock and it will be so easy to fall in love with it. Miniature carriage clocks are also known as boudoir clocks and when you consider that this clock was made in the 1920’s, it takes you back to this wonderful hedonistic era. This carriage clock measures just 4.7cm tall plus the handle. It also measures 3.5cm wide by 1.6cm deep and it is this wonderful small size that adds so much charm and character to it. And then there is the wonderful case that is enamelled in a technique called guilloché enamel. This is one of the most popular of all the enamel techniques and it is so easy to see why. Produced by a very precise and repetitive pattern that is engraved into an underlying material such as gold or silver, it then has the enamel applied over the top and after the firing process is complete, it is polished back to a high lustre revealing the engraved pattern below the surface. Made by Zenith, this watchmaking company is still around today and regarded as one of the finest in the world, and the movement in this miniature carriage clock has just come back from a full service and comes with our twelve month warranty. And then to add a further piece of charm to this clock, it comes presented in its original travel case which allows it to sit inside and be protected. The back cover of this case can be removed to hold the key securely in place. This wonderful guilloché carriage clock is so beautiful to admire and its size makes it so much more enchanting. Art Deco guilloché enamel miniature Zenith carriage clock made in the 1920’s. 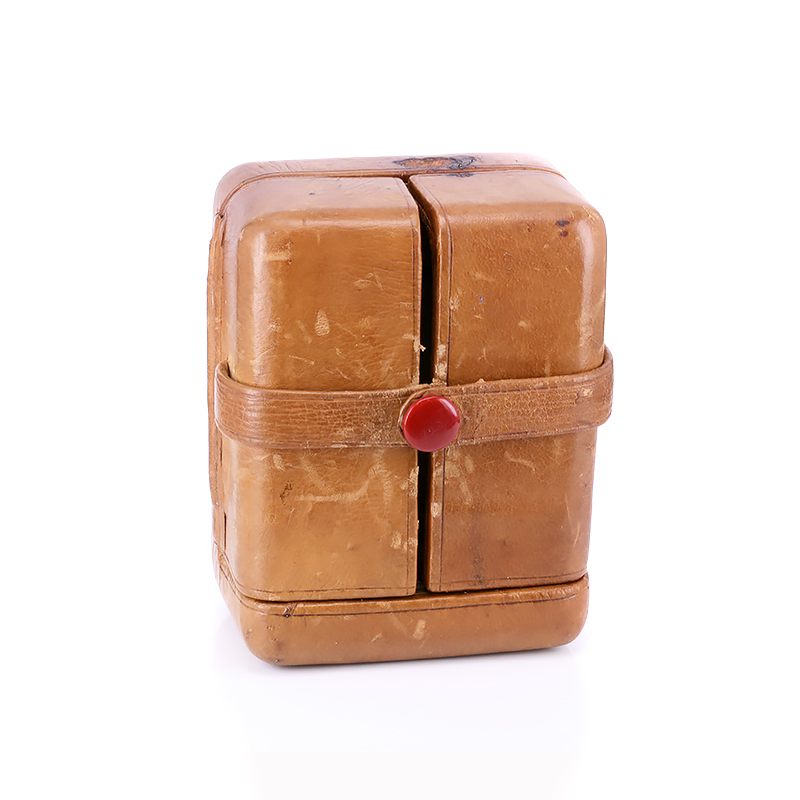 These miniature carriage clocks are also knows as boudoir carriage clocks. Going back to the 18th Century, guilloché is a decorative technique in which a very precise and repetitive pattern is engraved into an underlying material such as gold or silver and then the enamel applied over the top. After the firing process is completed, it is polished back to a high lustre revealing the engraved pattern below the surface. This technique can be seen on jewellery as well as decorative pieces such as pill boxes, opera glasses and of course carriage clocks such as this one here. Often seen in high quality French and Swiss pieces over the century, this is an enamelling technique that has always remained so popular and sought after.